This is one of a couple of Italian whites I wanted to write up before the sun set for good on the southern summer. At the end of a cold, blustery day on the Mornington Peninsula, just looking at my glass of Riesling is making me shiver, which suggests I’ve missed the boat. But it’s no big deal; it’s always summer somewhere and anyway this isn’t a mere thirst slaker. It’s a wine for food, and a delicious one at that. 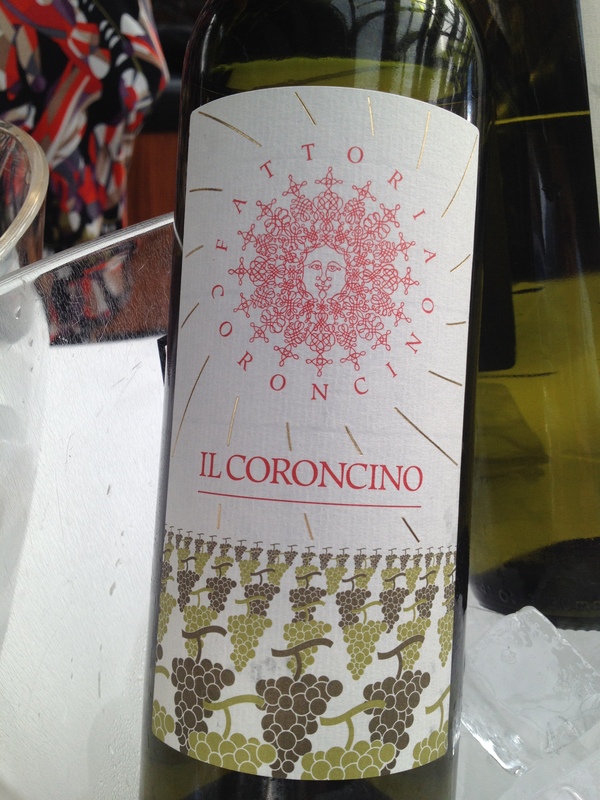 It comes from Corte Sant’Alda, an organic producer from the Mezzane valley in northeast Italy’s Veneto region. The winery sits at an altitude of 350 metres in Valpolicella, where red varieties such as Corvina, Rondinella and Molinara rule. 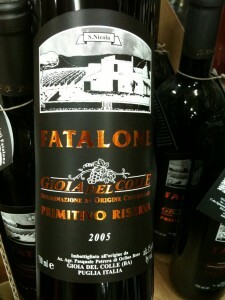 The appellation has a patchy quality record but is capable of turning out wonderful red blends in a range of styles, from light, fresh cherry- and herb-tinged wines through – thanks to the use of berries picked ripe and left to raisin in controlled conditions – to opulent, dry full-bodied Amarone and sweet Recioto. Like Valpolicella, Soave hardly boasts a rock-solid reputation thanks to the glut of crisp, “inoffensive” whites that find their way onto UK supermarket shelves. I’m pleased to have been shown another side to Soave and I was on the hunt for a bottle when I chanced upon this. I’d been introduced to Camerani’s wines via the Corte Sant’Alda Ca’ Fiui Valpolicella 2008, which I had over Christmas and really enjoyed. So I pounced upon this when I saw it in the bottleshop fridge. It was drunk on the balcony with evening sunshine, good friends and homemade tapenade. Clear pale lemon in colour with a moderately intense nose of white flowers, peach blossom, lemon pith and fresh mint. Pure lemon citrus, green plum and almond endure across the light- to medium-bodied palate, which has a touch of waxiness to it. 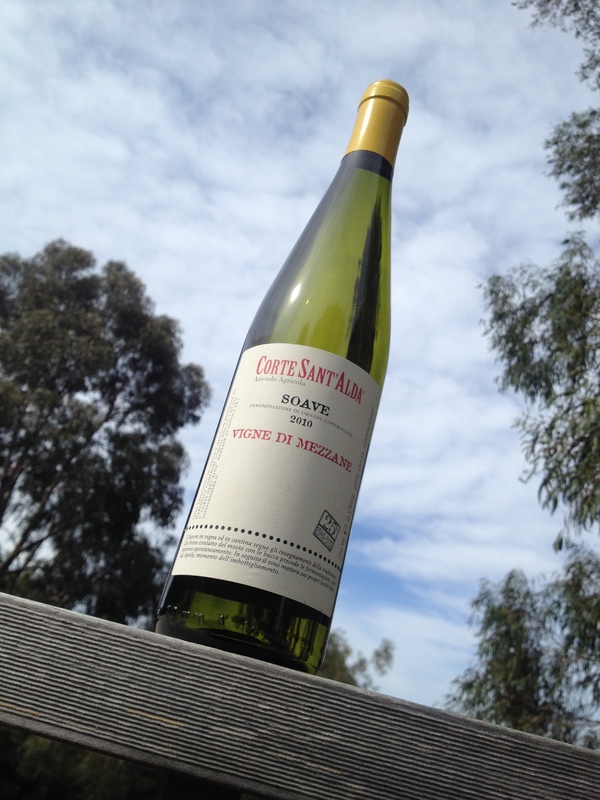 The acidity is luscious and superfine, leaving floral notes to linger after the lemony finish. Delicate, lovely wine. 1976 was a big year for Schioppettino and me. It heralded the rebirth of the endangered Friulian grape variety, while that baking English summer was my first on this earth. The winery of Giovanni Dri, at the foot of Il Roncat mountain near Italy’s border with Slovenia, was obliterated by a huge earthquake in 1976, the same year that Paolo and Dina Rapuzzi won the first Nonino Risit d’Aur award, set up to encourage those in Friuli who persevere with endangered indigenous varieties. The endeavours of the Rapuzzi family and other local growers led to Schioppettino being added to the list of permitted varieties in the province of Udine in 1981. Nine years later, Giovanni Dri’s faith and hard work paid off when he managed to construct a new winery. 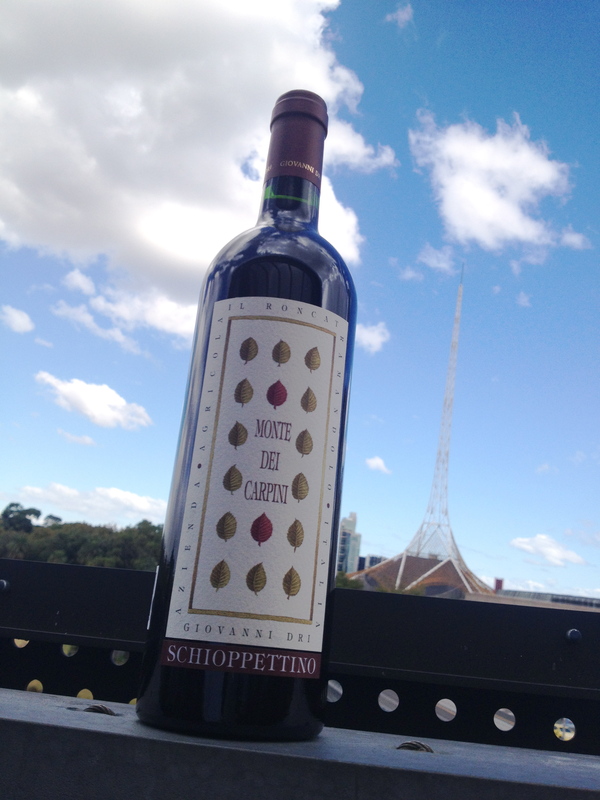 And then nothing happened until 2014, when I got my first taste of Schioppettino. A name that cool clearly needs some kind of explanation. It apparently derives from the verb schioppettare, a variation of scoppiettare, which means to pop or crackle. Scoppietta, meanwhile, is Italian for musket (sic; we’re talking guns now, not grapes), so Schioppettino (skyo-peh-TEE-no) roughly means gunshot or little crackler. It probably owes the name to the way its thick-skinned berries explode when you bite into them. I felt an explosion of recognition when I smelt the wine and it was somewhat unexpected. It put me back in England, in the country, a childhood summer. A dual impression of coolness and comfort – leafy, floral, peppery and breezy, with wafts of wild berries ripe for the picking. It was much more than nostalgia that made me love the wine. But I defy anyone to remain unmoved by that evocative perfume. He’s actually quite handsome. And perhaps he’d crack a smile at the thought of faraway converts to the Schioppettino cause. Medium ruby towards garnet and holding its colour well. The nose is pronounced with lifted forest fruits, hedgerow, violets and pepper. The entry is sweet with blackberries and the palate cool and medium bodied, with fresh, pippy bramble fruit and plum flowing with those counterpoints of leafiness and peppery spice. It’s high in tannins but these are fine and tamed by time, while a sharp lick of natural acidity gives a vibrant finish and length. Drinking wonderfully now, I can see it evolving nicely over the next five to eight years. Drink it with pappardelle and duck ragu (or wild boar if you can hunt one down). The original Fatalone would’ve had no need for a matchmaker. But without the help of the boys at Boccaccio Cellars we might never have hooked up. I’d asked for an Italian wildcard to bring to a blind tasting. This is what I got. It divided opinion among the group and there was no denying the rough edges. But it had depth, breadth and a strong foreign accent. I bought some more at the next opportunity and drank it with friends and lasagne. It more than repaid my loyalty. Fifth-generation winemaker Pasquale Petrera grows the fruit organically and with no irrigation, ferments it with indigenous yeasts and allows malolactic fermentation to occur naturally. It’s released after 12 months in stainless steel tanks, 12 months in 750-litre Slavonic oak and six months in bottle, though obviously the vintage I tried has had a lot more time to develop. And it’s a fair bet it would have heard a few tunes over that time, given Petrera’s penchant for ageing wine to music. But my favourite insight into this wine comes from a little card draped over the bottle’s neck, the kind of snippet that makes you bond with the liquid inside. 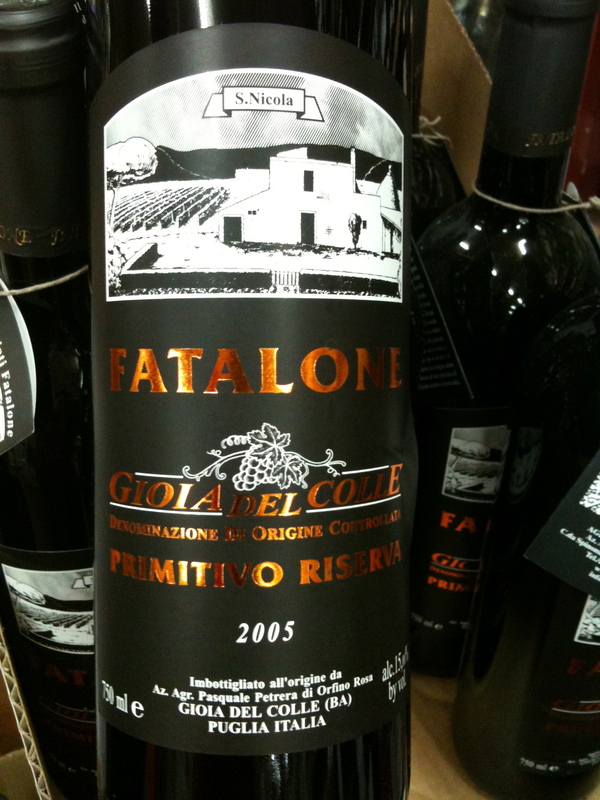 It’s named after second-generation winemaker Filippo Petrera – aka Il Fatalone, which apparently translates to “irresistible heartbreaker”. He lived to the age of 98, washing down his breakfast each morning with half a litre of Primitivo and half a litre of milk. Not convinced I’d break hearts on that diet. Smash a few milk jugs, for sure. Medium to deep ruby, brick-orange at the rim. A lot going on from first sniff: caramelised orange, balsamic, wood smoke, cedar, clove, ripe black plums. The palate has complexity to match the nose, combining fresh black cherry, stewed plums, candied orange peel and liquorice. The tannins are abundant but ripe, savoury and tamed by time. It finishes with a warm porty feel, chewy plum pudding, roast nuts, spice and tang. It’s a touch ungainly but lively, rangy and very enjoyable. Drink now to 2020. 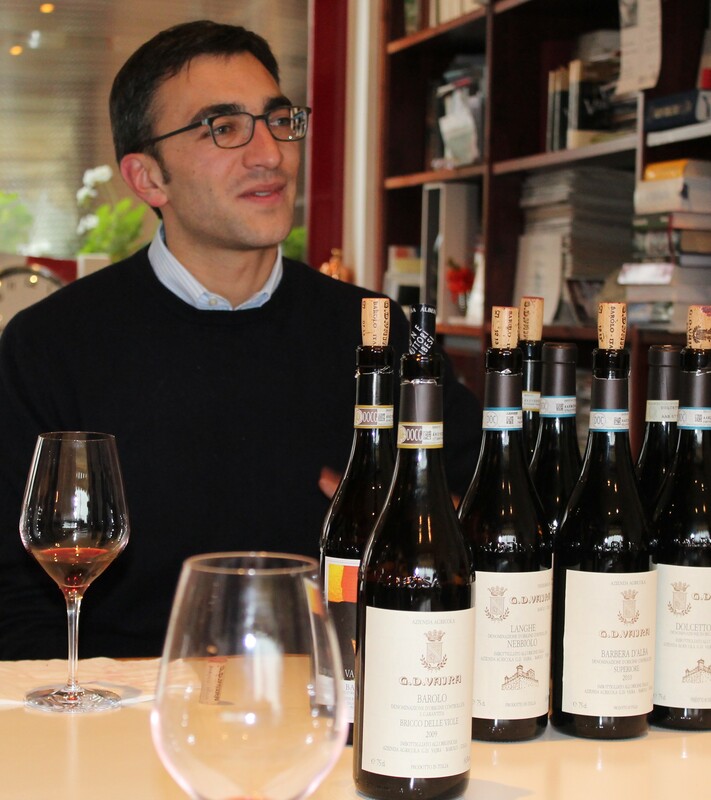 I asked reserved Barolo winemaker Gianni Canonica which of his peers he particularly admired. He instantly, effusively blurted out the name of his near neighbour, Bartolo Mascarello. So I popped next door to 15 Via Roma – no golden ticket, just a referral from my farm-stay host and a sense of expectation. And I left, Charlie Bucket-like, the scales fallen from my eyes. The vision, the fixity of purpose, the magic, all of it there under one roof. I drank in its whole rich history. Bartolo Mascarello would doubtless have scorned such hyperbole. And it is, to be fair, quite inappropriate for such a thoroughly modest, dignified family operation. But sometimes you walk through a door and walk out changed. What looked like an unassuming village dwelling was really a microcosm of Barolo, a potted history of pioneer and traditionalist, with a 100-year timeline running from room to room. A pioneer because it was pretty rare to grow, make and market your own wine in 1919, when Giulio Mascarello got the ball rolling. Back then he had just a corner of the property, the old cellar hewn from river rock, which is now crammed with dusty demijohns and racks of visitors’ gifts. Giulio’s son Bartolo went on to cement the reputation of the winery in the second half of the twentieth century, and continued the process of buying up, bit by bit, the rest of the ‘house’. To give an idea of how gradual that expansion’s been, until 2006 – a year after the legendary Bartolo died – bottles had to be stacked between the casks because there was nowhere else to put them. Until 2008, every bottle was labelled by hand. That’s quite a feat for an operation that’s grown to some 30,000 bottles a year. 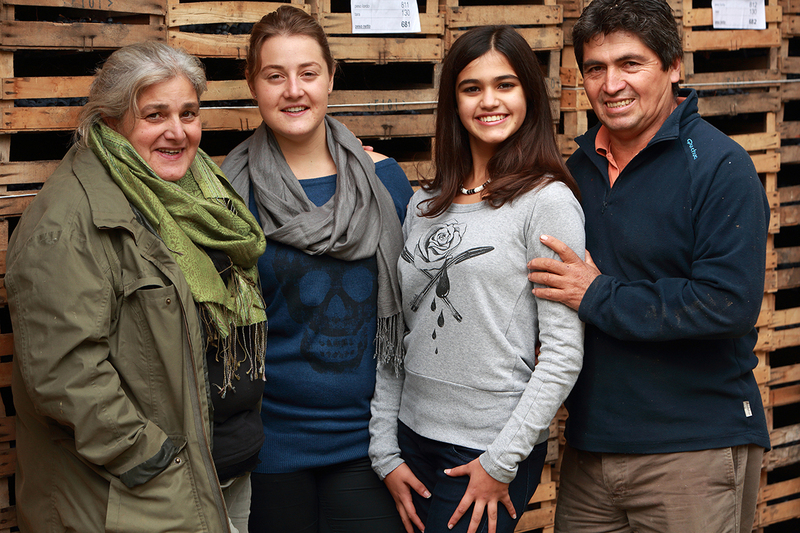 It’s now run by Bartolo’s daughter, Maria Teresa, who follows the proud and patient methods of her forbears. 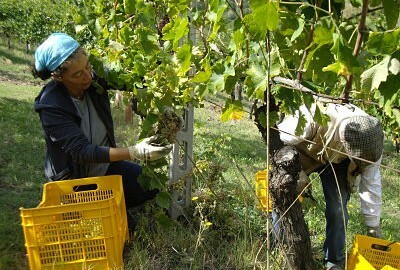 The fruit – even for the Barbera, Dolcetto and Freisa – comes from four crus of Barolo: Cannubi, San Lorenzo and Rué in Barolo itself and Rocche dell’Annunziata in La Morra. Primary fermentation occurs using natural yeasts in concrete tanks dating back to the middle of the last century. Malolactic fermentation is left to occur spontaneously (which often means waiting until the spring following the harvest – a “high-wire act” because of the risk of spoilage; everything I tasted had come through unscathed). Wines are matured in large, Slavonian oak casks. 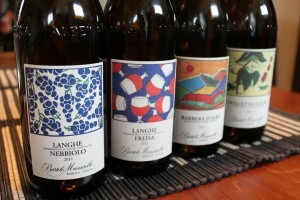 The Dolcetto, Freisa and Langhe Nebbiolo get nine months, the Barbera two years and the Barolo three years. There’s no temperature control and all wines are unfined and unfiltered. The estate doesn’t go down the single-site route for its Barolo. It never has. Instead, it coferments the fruit from all four crus. Everything that goes into the bucket on the day of picking has to be perfect, because that’s where the wine’s made. During its time on skins, the fruit is tasted first thing every morning, with everyone poised to leap into action if it’s deemed ready for the basket press. If you’re looking for the Wonka factor, then I’m sorry: you were misled. This is no factory and there’s no mad-professor jiggery-pokery here. 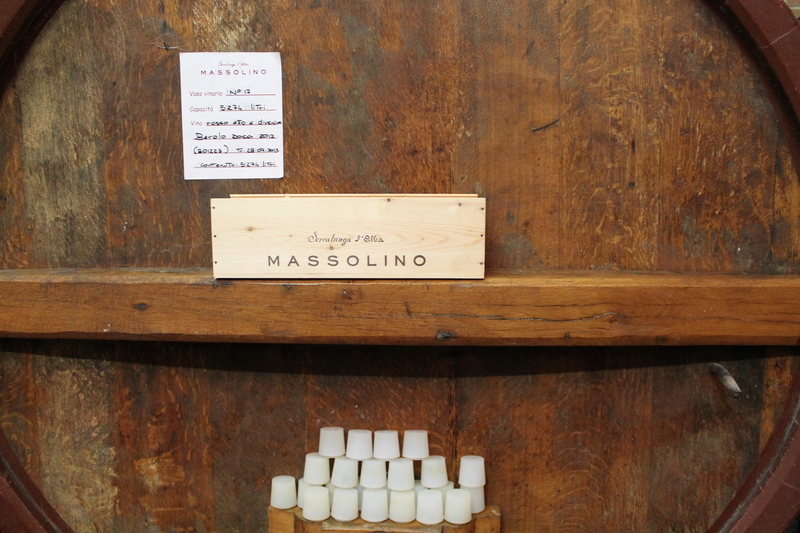 But Bartolo Mascarello was a singular character and this alchemist’s lair cast its spell on me. During the last years of his life, a wheelchair-bound Bartolo spent a lot of time drawing. Some 500 pictures were found after his death, and these now appear on the labels of wines every bit as beautiful and faithful and this family’s vision. I had the pleasure of drinking this with my wife upon returning to Australia. The Barolo is tucked away in the cellar, for as long as I can resist it. The Langhe Nebbiolo is relatively intense ruby in colour, and the nose perfumed and pronounced, with lifted red fruits, raspberry compote and strawberry-flavoured boiled sweets. Hovering around the fruit is fresh mint and earth, with liquorice beneath. The medium to light-bodied palate pulsates with raspberries, redcurrants and a hint of blood orange, with a notable mesh of fine tannins and fresh acid. The medium-length finish features earth, wild strawberries and rose petals. Elegant and perfumed but no shrinking violet, this has a delicate strength and poise. A delicious wine. There’s something about the impeccable presentation of this fourth-generation wine producer. I confess I can fall into casual inverse snobbery when it comes to labelling; anything too fussy and clean raises suspicion. I wonder whether the people behind it know what fun is, or whether they’re too busy being perfect. The home of Massolino, perched in the shadow of Serralunga d’Alba’s 14th-century castle, reinforces that impression. It’s a polished presence, although there’s a bit of mess inside with renovations going on. But those are only going to make it even more perfect. Then again, I made this appointment because on the handful of occasions I’d tried the wines, I’d enjoyed them. And this would prove no different, except that it also brought home quite how misleading the personality-free packaging is. Massolino has a certain precision about it, no doubt. But it’s a precision that zones in on characterful varieties and wonderful sites. 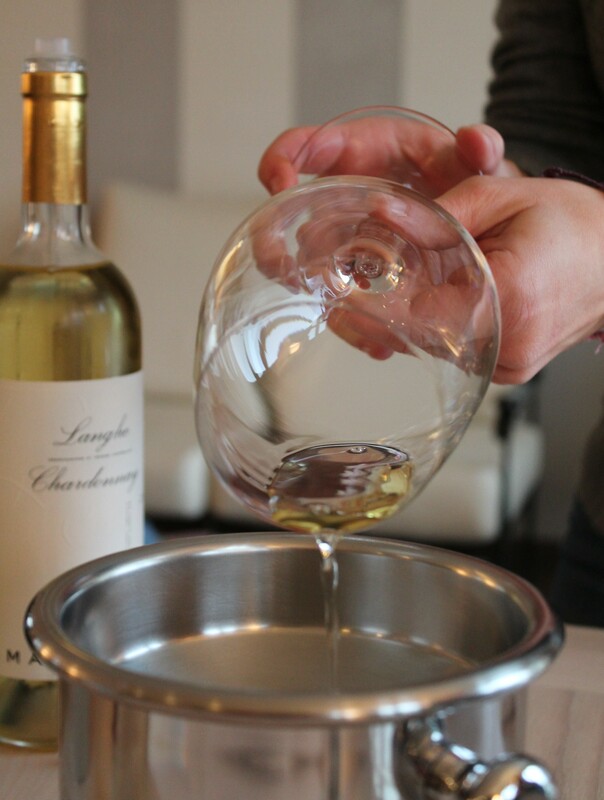 The tone of the tasting was set by the meticulous preparation of our glasses. A sacrificial drop of Langhe Chardonnay 2012 was lovingly caressed around every inch of the bowl, then gently discarded to make way for the tasting measure. After the token – and very good – white, the glass-readying ritual was replayed for a lovely suite of reds: Dolcetto d’Alba 2012, a pair of spot-on Barberas and the Langhe Nebbiolo 2012. This latter in particular deserves so much more than this cursory mention. But let’s allow the Barolo to do the talking here. We kicked off with the Barolo 2009 (14% alcohol; $89 from Prince Wine Store in Melbourne), made with Nebbiolo grapes from Serralunga vineyards lying between 320 to 360 metres up. It displayed raspberry and black cherry, mushroom, forest floor and plenty of grippy, earthy tannins that arrived late on the scene. 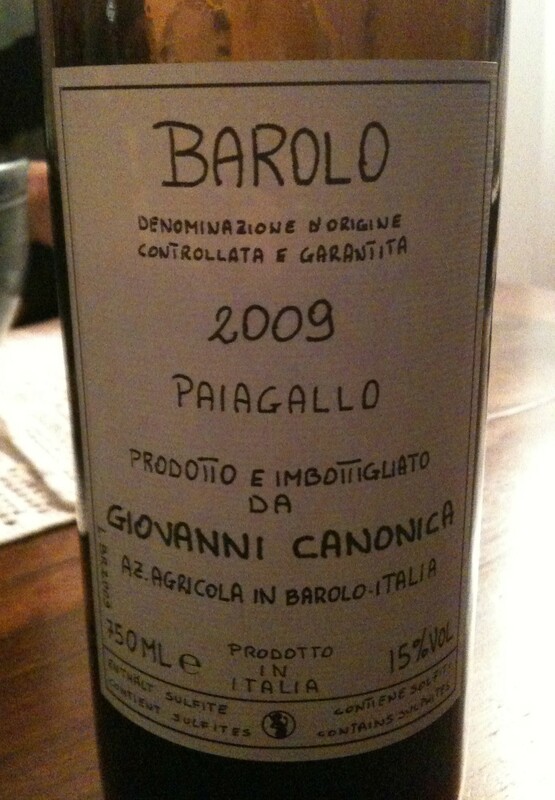 The Barolo Margheria 2009 (fruit from a Serralunga vineyard at 340 metres; 14% alcohol and $150 at PWS) displayed balsamic and orangey tones on the nose, along with spice, tar and graphite to go with the red fruit. 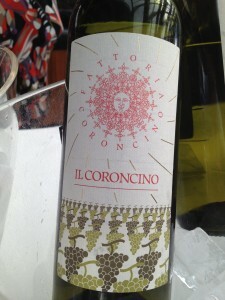 More time is needed for the tannin to fully integrate, but it had great freshness. Then there was the Barolo Parafada 2009 (14% alcohol; $150 at PWS), an elegant wine from a south-facing vineyard with 55- to 60-year-old vines. It had pronounced perfume and better-integrated tannins, a little more body, smooth, plum and cherry fruit through the mid-palate and good length. Next came the Barolo Parussi 2009 (14% alcohol; $150 at PWS), a more recent acquisition for Massolino (the first release was 2007) and also the only one of these vineyards outside Serralunga – though only a short distance away, in Castiglione Falletto. A more complex bouquet this time, with sweet spice, leather, tobacco and mushroom. 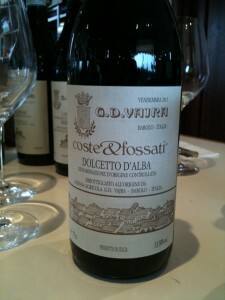 Its colour was also deeper and the tannins more masculine, with high acid taking it through to a long and savoury finish. Last of all was a pair of wines from Massolino’s most-celebrated site: Vigna Rionda, on the winery’s doorstep. This is released at six years of age (three and a half in large Slavonian oak, two and a half in bottle). The Barolo Riserva Vigna Rionda 2007 (14% alcohol; $210 at PWS) had a pronounced nose of roses, red fruits, exotic spice, clove, mint and smoke, with roasted nuts coming in to join the wild strawberries and plums of the medium-bodied palate. Last of all, we were treated to the Barolo Vigna Rionda Dieci Anni 2000 (14% alcohol; $365 at PWS), a wine which was held back until 10 years after the harvest. It was pale garnet in colour, with a bouquet of game, leather, tobacco, spice, tar, liquorice and black fruits. Fleshy cherry, blackcurrant and blackberry came through beautifully on the palate, with well-integrated tannins and plenty of length. It was always going to be a polished performance, but behind Massolino’s poker face lies plenty of personality. It was a privilege to see a bit more of it. 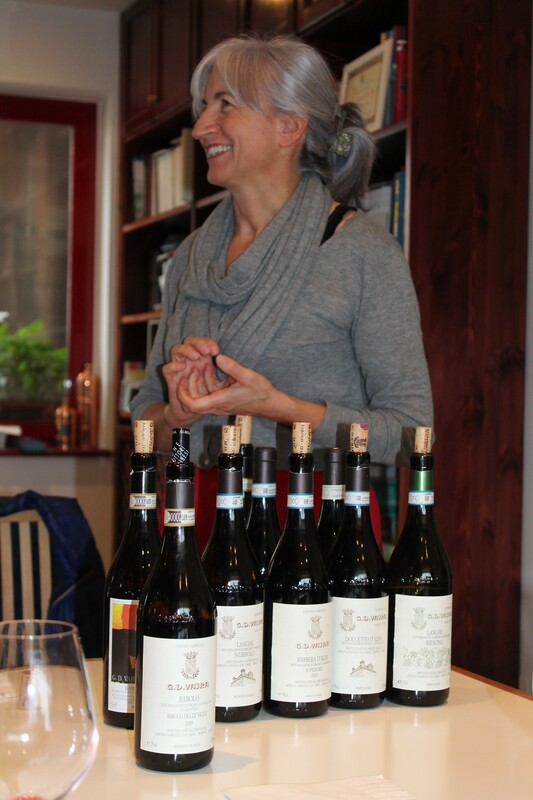 “The wine speaks very well, not me,” is the disarming claim from Milena Vaira. She’s wrong on one front – she’s an engaging hostess with very good English – but otherwise spot on: these are eloquent wines that you could listen to all day. In any case, Milena’s relieved from duty by her 28-year-old winemaker son Giuseppe, who’s clearly more at ease entertaining the masses. He’s just got back from showing his wines in Singapore, where Barolo-on-the-rocks in 40-degree heat was the order of the day. “It’s important to get out of your comfort zone,” he says. I certainly get the impression throughout the tasting that this is a thoroughly adaptable clan, the kind that’ll run with a printing error that sticks a rogue ‘j’ in the family name. Giuseppe’s father Aldo set upon a life in wine despite vehement entreaties not to from those around him. His first vintage was 1972, uniformly written off as a stinker, maybe the toughest of the century. But he stuck at it. This same man later took a shine to the art of Father Costantino Ruggeri. He wanted some stained-glass windows for the winery so the cellar hands would never lose sight of beauty as they went about their work. The talented monk declined Aldo’s request but received a case of wine as thanks for his consideration. Anyway, you guessed it: he changed his mind. And so to the wines. 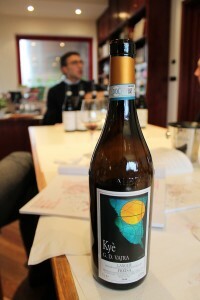 The winery is situated in Vergne, a couple of kilometres from Barolo village. The family has 60 hectares of vines, taking in Barolo, Novello and Serralunga d’Alba. Riesling is the token white here (floral and pure it is, too), while Pinot Noir (“a good teacher,” as Milena puts it) and Albarossa are the other outliers. Then you have the red quartet: Dolcetto, Barbera, Nebbiolo and Freisa, all showing finesse and sensitivity and – it must be said – thoroughly enjoyable drinking. 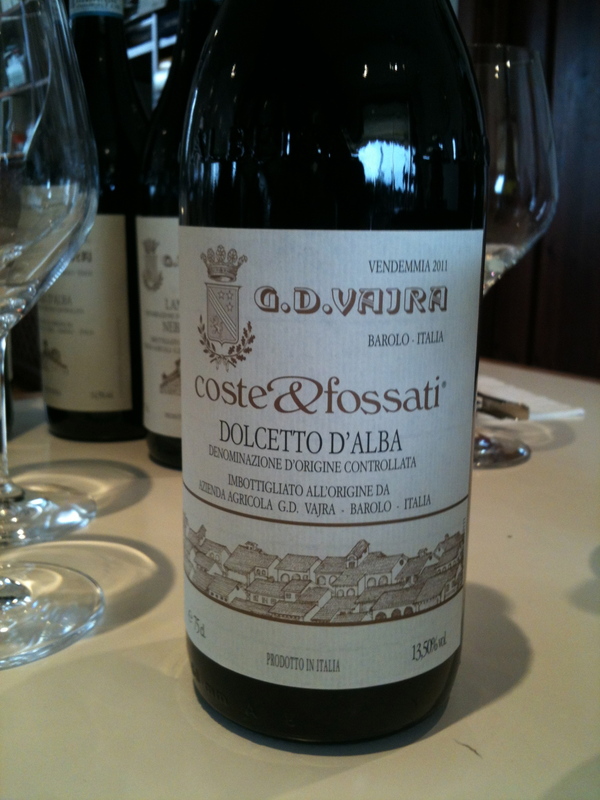 Dolcetto and Barbera are given both a traditional and alternative rendition, while Nebbiolo comes in five guises. There’s a Langhe Nebbiolo and four Barolos: Albe (a blend of three vineyards); Bricco delle Viole (see below); and two wildly different single-vineyard wines bottled under the Luigi Baudana label, from the Baudana and Cerretta vineyards in Serralunga. I found the 2009 Baudana particularly exciting; a little unruly and way too young to drink but bursting with energy and personality. Named for the Barolo vineyards of Coste di Vergne and Fossati which provide the fruit, this is the big brother to the more conventional, light and fresh Dolcetto d’Alba. This one is aged for eight to 12 months in large oak casks. It’s medium ruby in colour, with a surprisingly subdued nose (for Dolcetto) of violets, red cherry and clove. It’s medium bodied, with a soft, slinky, almost creamy mouthfeel and lots of sweet, juicy damson, raspberry and cherry fruit plus a hint of menthol. The chalky tannins have a bit of grip, there’s enough acidity to give it drive and it finishes with a pleasing cherrystone tang. You can see the sloping vineyard from the tasting room. Bricco del Viole takes its name from the violets exposed when the blanket of snow is peeled back each spring. A pretty image befitting this lovely Barolo, made from vines grown 400 metres up and aged 45 to 48 years old. It’s intensely perfumed, very reminiscent of top-notch Pinot Noir on the nose, with roses and violets joined by plums, earth and some underlying smokiness. It tastes like it smells, but the real winner here is the softness of the fruit on the palate – gentle but with real strength and length – allied to tannins that are almost velvety, finishing with some gentle spice. They’re not textbook tasting conditions – a tad dingy, bulbs missing from the chandelier above – yet the setting’s perfect. The room’s littered with old photos and pristine current-release wines. Dusty ancient bottles adorn the mantelpiece and fourth-generation family winemaker Enzo Brezza sits opposite me. These organic wines, fermented with natural yeasts, are made from fruit sourced from 16.5 hectares of vines. Just over three-quarters are in Barolo itself, taking in vineyards such as Cannubi, Sarmassa and Bricco Sarmassa. Add to this a hectare in each of Novello and Monforte d’Alba and another two situated between Barolo and Barbaresco. The wines bear out his claim. The Dolcetto d’Alba 2011 (13% alcohol, stainless steel, Vinolok glass closure or natural cork options) I found a bit too subtle for its own good, missing out on the juice and sport of this variety, but both the super-fresh, traditional Barbera d’Alba 2011 (14.5% alcohol, stainless steel, Vinolok) and the less lifted, rounded, plummy and smooth Barbera Superiore 2010 (14% alcohol; one year in big, newish oak, cork) were vibrant, gluggable and elegant. The light-bodied Langhe Nebbiolo 2012 (14.5% alcohol, stainless steel, Vinolok) with which we kicked off, was gorgeously fragrant and caressing, with strawberry compote, roses, liquorice and herbs. The Santa Rosalia Nebbiolo d’Alba 2011 (15% alcohol, one year in oak, Vinolok and cork) is clearly related: medium bodied this time, with roses, raspberry and earth. The Barolos (there are five; I’ll take a closer look at two of them) undergo a 20-30 day maceration and immediate malolactic fermentation, They get two years in large-format, seasoned Slavonian oak before an additional year in bottle. Enzo says he likes to drink Barolo between six to 15 years after the harvest, with the best window between eight and 10. “For me, you like it because you like it, not because it’s old and you respect it,” he adds. Medium ruby in colour with a relatively pronounced nose of raspberry, strawberry and wood smoke. It’s medium bodied with poise and strength, great depth of red fruit on the palate plus some sagey herb. The rich tannins are nicely integrated, the natural acidity high, and it finishes long with raspberry and a sensation of crushed flowers. The pick of the bunch for me. Nose of lifted roses and violets, plus red cherries, redcurrants and strawberry compote. The savoury side of things is catered for with earth, rosemary, fennel and fresh mint. It’s high in tannin, of course, but these are almost lacy and well balanced with the fresh acid. There’s some roundness to the fruit but there’s nothing broad about it; it’s focused and linear. Again, only medium bodied but superb strength across the palate, with a long finish of plum and raspberry. Sensational. *Brezza’s Australian distributor Déjà Vu expects the 2009 wines to arrive here in December. The best outlets to get them will be Prince Wine Store and Winestar. 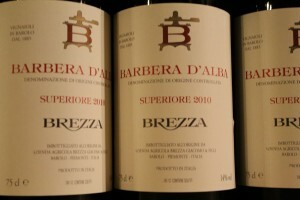 Prices are expected to be around $79 for the Brezza Barolo Cannubi 2009 and $85 for the Brezza Barolo Sarmassa. “I’m a lucky man. One and a half hectares of land is enough to live.” Giovanni Canonica – Gianni to his mates and honoured guests at his Barolo home – is pretty cool from where I’m sitting. Scruffy and handsome in red-rimmed specs that only an Italian could carry off, he’s showing us his wine in his sitting room. We’re staying next door, in his three-bedroom farm stay, Il Quarto Stato. The place is named after the iconic 1901 painting of striking peasants by Piedmontese neo-impressionist Giuseppe Pellizza da Volpedo, a print of which adorns our front door. The house is slap bang in the middle of this storied village, and the Paiagallo vineyard can be seen from my bedroom window. It’s from a 1.5-hectare patch of this vineyard that Gianni makes his one and only Barolo. He does it naturally, with no yeasts, no filtering, just a touch of sulphur at bottling to arrive at 30mg/L. It’s made in tiny quantities – 6,000 bottles in 2009 – in the shed and cellar out back. The basket press is endearingly ancient, the 2,500L Slavonian oak casks cumbersome and uncomplicated. The only other wine Gianni makes is 1,000 bottles of Barbera d’Alba. And distribution is fittingly random yet simple. In the mid-1990s, when times were pretty desperate here, a natural wine lover from Japan tasted some and became unofficial brand evangelist. Gianni now sells half his production to the Japanese. They’ve scored a rare treat. Light ruby to garnet colour, this 100% Nebbiolo has a pronounced nose of cherry blossom, roses, red cherry, tar, leather and roasted nuts. It’s medium to light bodied, and the soft strawberry, red and black cherries and prunes on the palate are a striking follow-up to the savoury overload of the nose. Plenty of layers here too, though, with caramelised orange, leather and spice on the back palate. The tannins are very fine with a firmness that keeps everything in check. The wine finishes long, with bit of tang and some spirity warmth. It’s a bit out there but honest as the day is long, and with bundles of intrigue to go back for. Personally I loved it. Drink 2014 to 2022. 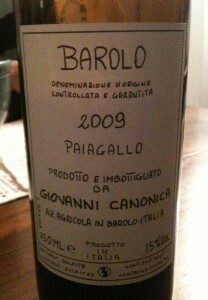 *Gianni says he’s sending 120 bottles of Giovanni Canonica Barolo Paiagallo 2009 to Australia this month.